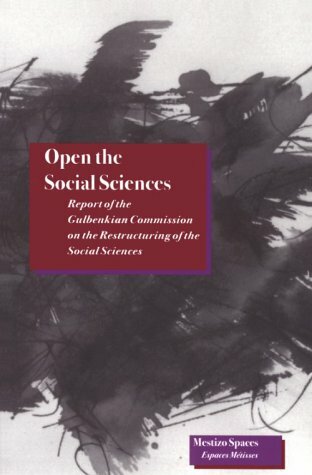 Concerned about the worldwide state of the social sciences—the relations among the disciplines, and their relationship with both the humanities and the natural sciences—the Calouste Gulbenkian Foundation, based in Lisbon, established in 1993 the Gulbenkian Commission on the Restructuring of the Social Sciences. It comprised a distinguished international group of scholars—six from the social sciences, two from the natural sciences, and two from the humanities.The report first explores how social science was historically constructed as a form of knowledge and why it was divided into a specific set of relatively standard disciplines in a process that went on between the late eighteenth century and 1945. It then reveals the ways in which world developments since 1945 have raised questions about this intellectual division of labor and have therefore reopened the issues of organizational structuring that had been put into place in the previous period. The report goes on to elucidate a series of basic intellectual questions about which there has been much recent debate. Finally, it discusses in what ways the social sciences can be intelligently restructured in the light of this history and the recent debates.